As lead landscape architect on the multi-disciplinary team, Upland Design leads the creation of plans and presentations for the outdoor spaces at this multi-use development in the core of the municipal district. 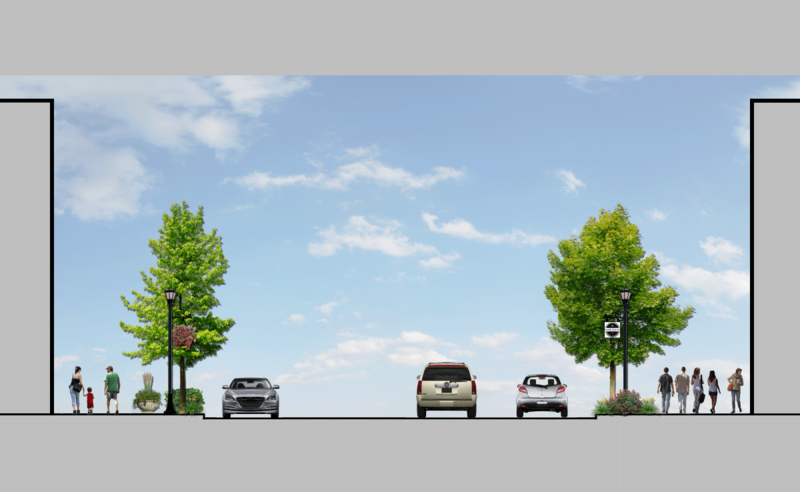 Located at the south side of West Dundee Road, it will serve as a new town center for Wheeling. Design work includes site and streetscape planning for commercial, restaurants and residential spaces. 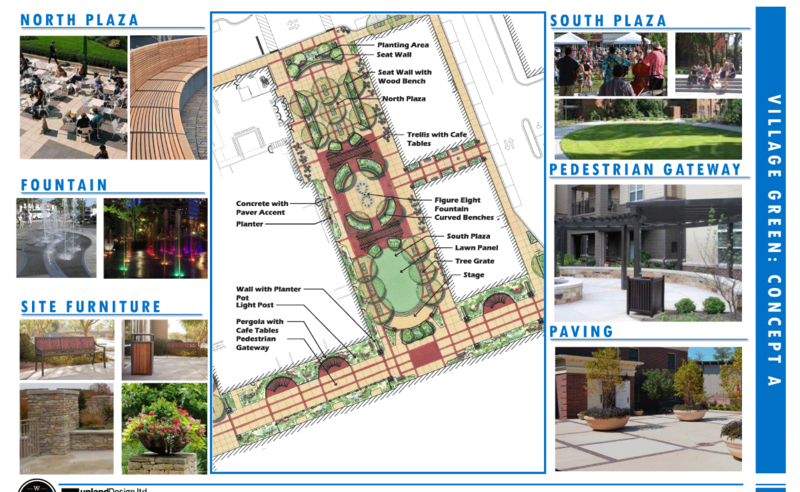 A key element of the plan is the Village Green, a plaza and green space created to serve as a meeting space for the town. Amenities include landscape plantings, a sculptural focal point, site furniture, lighting, street trees and paving. In addition to the public spaces, Upland Design is creating private recreation spaces for the new multi-story residential building. Facilities include an outdoor pool, fireplace, plaza seating, shade structures, bocce ball, a mini-golf green and meeting areas. We create remarkable outdoor spaces that people know and love.